Develop distributed systems faster and easier than ever before with Lagom, an open source microservices framework. Most microservices frameworks focus on helping you build fragile, single instance microservices - which, by definition, aren’t scalable or resilient. Lagom helps you build microservices as systems — Reactive systems, to be precise — so that your microservices are elastic and resilient from within. Building Reactive Systems can be hard, but Lagom abstracts the complexities away. Akka and Play do the heavy lifting so you can focus on a simpler event-driven programming model on top, while benefitting from a message-driven system under the hood. Lagom also provides a development environment that relieves you from tedious setup and scripting - using a single command to build your project and start your services. Meet Lagom in this 3-minute overview. 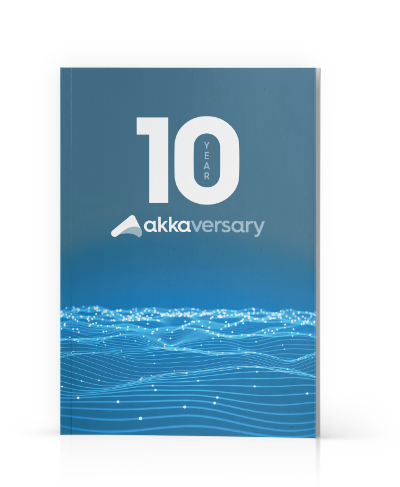 Leverage a decade of hard-won knowledge building microservices with Akka and Play. Lagom, as a lightweight layer on top of Akka and Play, preserves all of Akka and Play’s advantages, proven and hardened over time, so it’s extremely easy to do the right thing. Accelerate your development cycles with Lagom’s hot-reload environment. Borrowing from the Play Framework, Lagom hot-reloads code when you make changes and restarts the services alongside all supporting infrastructure. Reduce guesswork and ensure that your microservices adhere to Reactive system best practices. Lagom’s highly opinionated framework provides guardrails to keep your design on track. Lagom is asynchronous and non-blocking by default, leveraging Pub/Sub messaging for communication between microservices and Akka Streams for fully back-pressured streaming. By removing most of the boilerplate code, Lagom focuses development on the essence of the service and makes it easy to create explicit and typed protocols that compose — either through asynchronous messaging, request/reply or continuous streaming. Each service in Lagom owns its data exclusively, all the way down to durable storage. Based on Akka Persistence, Lagom services that need durable storage use Event Sourcing and CQRS. Achieve and enhance your application’s resilience and elasticity via true isolation or shared-nothing design, which makes Lagom-built microservices autonomous, loosely coupled and mobile (location transparent). Scale your services easily in container environments, such as Docker, by taking advantage of the robust management capabilities included in an annual Lightbend subscription. Services can be deployed directly to production using the Lightbend Platform’s commercial features, which are available through an annual subscription.